There’s some great value and great games this week, so check out who’s made Rummerz’ week 14 list. 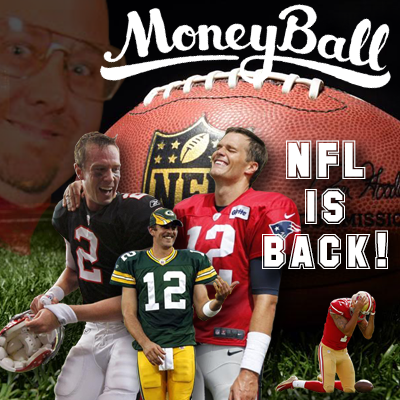 Beginner contests are for members who have made 50 NFL entries or less. Definitely a great way to start with DFS. McCoy has a good matchup this week, facing a Colts defence allowing over 90 yards and close to a TD over their last three. If Tyrod is out it bodes well for Shady to be used as a release valve for Peterman. Under an injury cloud last week, Brown still managed 101 and a TD. This would normally be a harder match up, but the Ravens have lost a CB for the season, which makes things easier for Brown. Bell has over 100 total yards per game over his last seven games, and when they met the Ravens in week 4 he had over 180 total yards and two touchdowns. Hopkins had eight for 80 last week and almost hit pay dirt, but to no avail. Things could change this week against the 49ers who almost give up a TD per week through the air. Allen’s last three games have been incredible, and he could have a favourable matchup this week against Washington, with Norman lining up on the left side, and Allen lining up half the time from the slot. Garoppolo threw for almost 300 yards last week with no touchdowns, but should build on that when he meets a Houston defence that allow the second-most points to QBs. Goodwin looks to be a value stack with Garoppolo, and the match up isn’t too bad either. Traditionally, Goodwin was the deep-ball-threat, but under Garoppolo last week, he was targeted the most in the team. I’d expect this to continue. Has been productive these last two games and meets a Washington defence giving up the fifth-most fantasy points to TEs. With Mixon in the concussion protocol, Gio will be the lead guy for the Bengals against the Bears. He’ll get the volume of work, is a pass-catching back, and Chicago have given up over 100 total yards their last couple of games. A tight end of the wide receiver mold, Anderson was forced into action last week with the loss of their two other tight ends and also in the receiver corps. He may be thrust back into the limelight this week. Smith put on a clinic last week, torching the Jets for 366 yards and four touchdowns. Last time he played Oakland he had 342 and three. Wasn’t able to hit the endzone last week, although was able to crack 100 yards again. The match up versus Denver might put some off, but they have allowed the most passing TDs this season. The old man just keeps performing, putting up over 20 points last week. He’s Gabbo’s favourite and we can expect another 10 targets this week against a poor Titans secondary. The Crab returns from suspension this week and faces a porous KC secondary ranking second for most fantasy point to WRs. Flash showed last week why he was so highly touted and why the Browns didn’t sack him throughout his saga. Only one other person had played better against the Chargers this season; Odell Beckham. He faces the Swiss cheese Packers this week, and should be building better chemistry with Kizer.